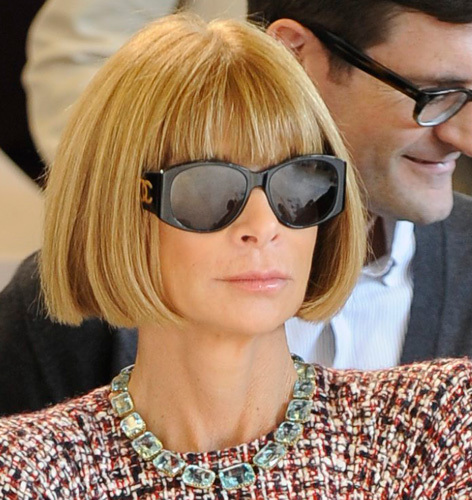 In the movie The September Issue, Anna Wintour can be seen wearing Chanel sunglasses. The model is unknown, but they look like a vintage style. If you know which exact model these sunglasses are, contact SunglassesID. Anna Wintour was wearing the same glasses as in the film during a recent appearance at the Erdem show during London Fashion Week S/S 2010 on September 22, 2009 in London, England. 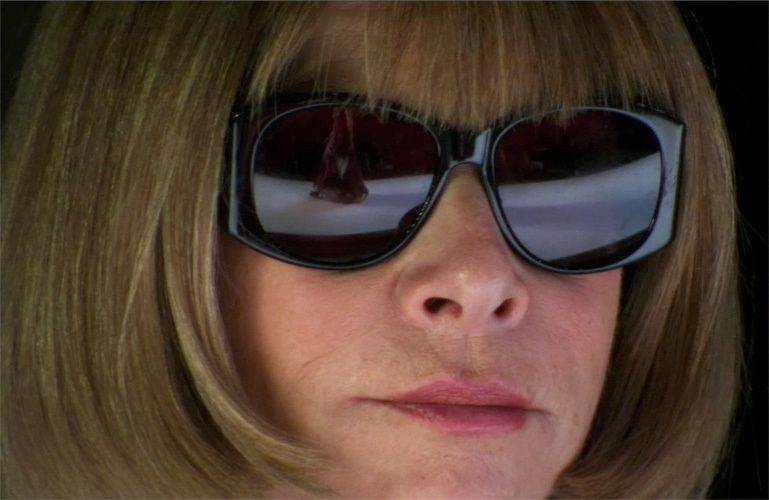 In the American tv show 60 Minutes, Wintour says about her sunglasses: "They're seriously useful...I can sit in a [fashion] show and if I'm bored out of my mind, nobody will notice. And if I 'm enjoying it, nobody will notice... At this point they've become... really, armor."